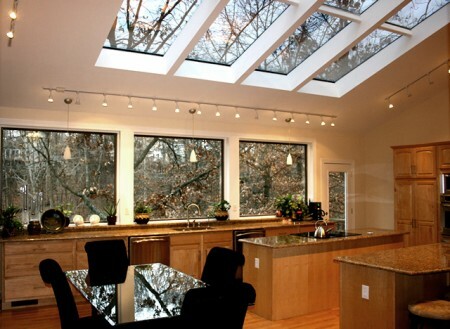 Bring the spaciousness of the outdoors into your home! We can create sweeping expanses of glass to create unlimited light and sky beauty in any top-level living area of your home. 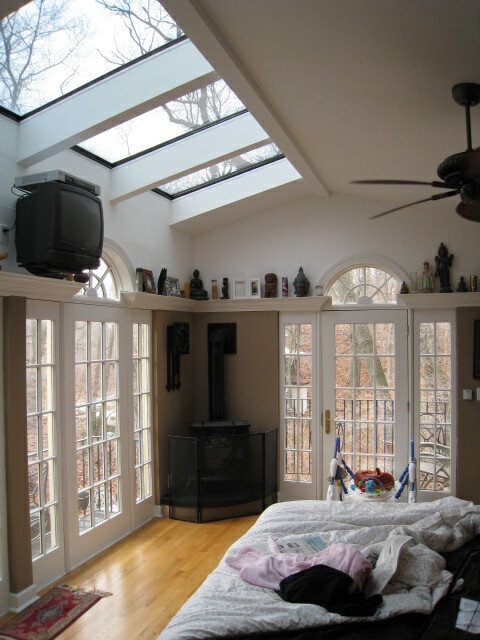 This installation was for a kitchen addition with a vaulted ceiling. The 12′ x 14′ skylight directly above the kitchen work area makes for a strikingly cheerful and inviting kitchen. The owners of this new bedroom addition can lay in bed and watch the stars and heavens anytime they want. It is a spectacular show!